Do you sell to retail customers? No. Keystone Wood Specialties is strictly a wholesale, business-to-business manufacturer of wood products for the custom cabinet, furniture, and remodeling industries. If you are a homeowner, we are thrilled that you are interested in our line of high-end custom cabinet components, but we are simply not equipped for retail commerce. Please invite your local cabinetmaker, kitchen dealer, remodeler, or contractor to make inquiries and purchase our products for you. Thank you for understanding! How do I set up an account with Keystone Wood Specialties? Call our customer service team, and they will be happy to set up an account with you. They will gather all the information needed and assign you a customer number for use in all correspondence, including quotes and orders. Can any customer service representative handle my account? Yes. 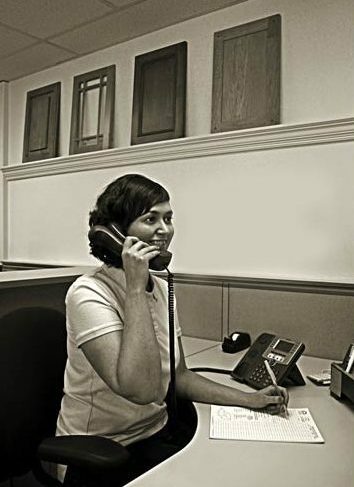 All of Keystone’s friendly customer service professionals are knowledgeable, capable, and ready to assist you. Can I get a “ballpark” estimate? No. There are too many variables to give you useful information without an actual quote, which you can usually receive from customer service within 24 hours. You can also figure your own cost by using the information in our Price & Specification Document (available from customer service). Do you require a minimum quantity to place an order? No. A single door or a thousand doors, all orders receive the same personal attention. We accept orders online or via email, fax, or US mail. See the How to Order section of this website for more information. What are your estimated lead times? Estimated lead times can vary depending on many factors, including the size and complexity of your order. Our typical lead time is within a few weeks for most products. For detailed information on our current lead times, please call customer service. Keystone will email tracking information to you at the time of shipment. We ship anywhere in the United States, and we deliver locally. Yes. While you are here, ask for a plant tour. We would be happy to show you what we can do. Contact customer service to arrange for either or both! Does Keystone offer trade discounts? Orders over $200 of discountable items are subject to a trade discount if paid within 60 days. Certain items are not subject to trade discounts. Please contact customer service for more information. Do you make products in any available wood species? Yes. See the Wood Species section of this website. Other species may be available upon request. What are your standard rail and stile sizes? Unless otherwise noted in our Price & Specification Document (available by contacting customer service), cabinet door rails and stiles are 2 ¼” wide. Drawer fronts have 1 ½” rails and 2 ¼” stiles. Can I send a drawing or a photo of a custom cabinet door I want? Yes. Keystone specializes in one-of-a-kind custom orders. See the Custom Order section of this site for more information. Can I send a blueprint or plans for a job and have you pull the dimensions for what I need? No. We do not do takeoffs from plans or blueprints. Please send us a list of items. Order forms are available here for your convenience. Can I modify an existing cabinet door design? Yes. Click here to learn how to customize a cabinet door the way you want it. And if an existing door does not allow for your customizations, call us or send us a drawing. Do you provide finishing for your products? Yes. See the Finishes section of this website or our Finishes Catalog for more information. Can you match any paint or stain? Yes. We can match any paint or stain. 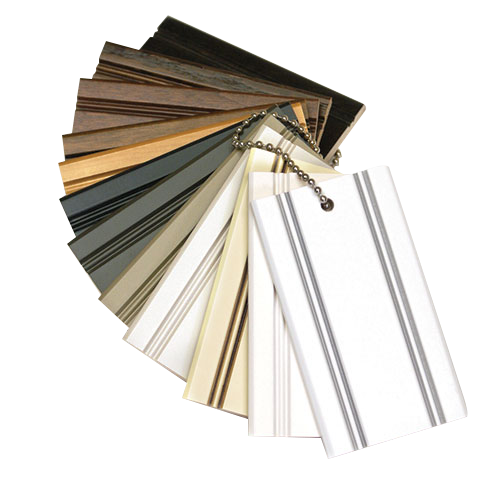 Just send us a paint chip or stain sample, and we will match it! Can I purchase paint or stain? Customers who order finished products may purchase quart or gallon supplies in order to finish other parts of their project to match their Keystone order. Due to liabilities (and the fact that we are a cabinet door manufacturer, not a finish manufacturer), we are limited to what finishes and quantities we can sell. We are not able to sell any stains to a customer without a finished order of the same color in production. We use a catalyzed varnish as our “natural” finish and a tinted catalyzed varnish as a top coat for our painted orders. Since we cannot sell anything with the catalyst, any paints we sell will need to have the catalyst added. We will provide you with the catalyst number and amount to add. A hazmat fee is applied to each can of stain that is shipped. Keystone cannot be held responsible for the appearance of items finished by our customers. Can I send extra items to be finished with my order? Yes. When you send us extra items to finish, we will finish them at the same time we finish your order. Extra finishing prep charges apply. What is Keystone’s highest sheen? The most common sheen for a high gloss is 40 sheen. However, if you would like an even higher gloss, our highest is 60 sheen. What is the base of Keystone’s finishes? The base of our finishes is a catalyzed conversion varnish that exhibits excellent moisture-resistant and non-yellowing properties. Can I send my own paint or stain for Keystone to use on my products? No. We will only use our finishing products, which are a high-quality industrial grade. However, we can match your paint or stain. Just send us a paint chip or stain sample. Can I send a paint/stain formula for Keystone to match? No. We develop our own formulas in order to provide a consistent, high-quality product. However, we can match your paint or stain. Just send us a paint chip or stain sample.